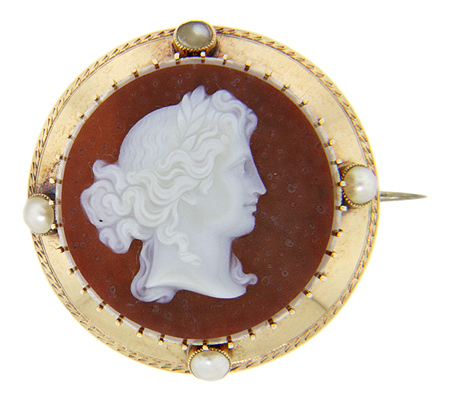 Lustrous pearls are set at cardinal points on this Victorian era antique cameo. 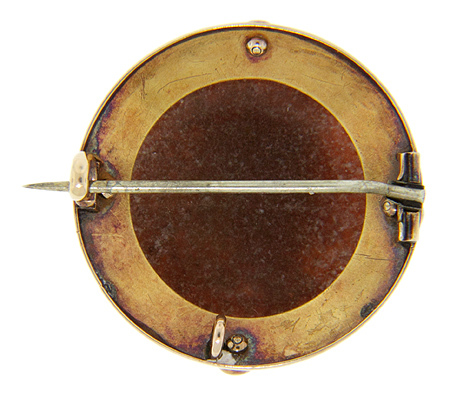 Crafted of stone and set in a 14K yellow gold frame, the magnificent cameo pin measures 1 1/4” in diameter. Circa: 1880.